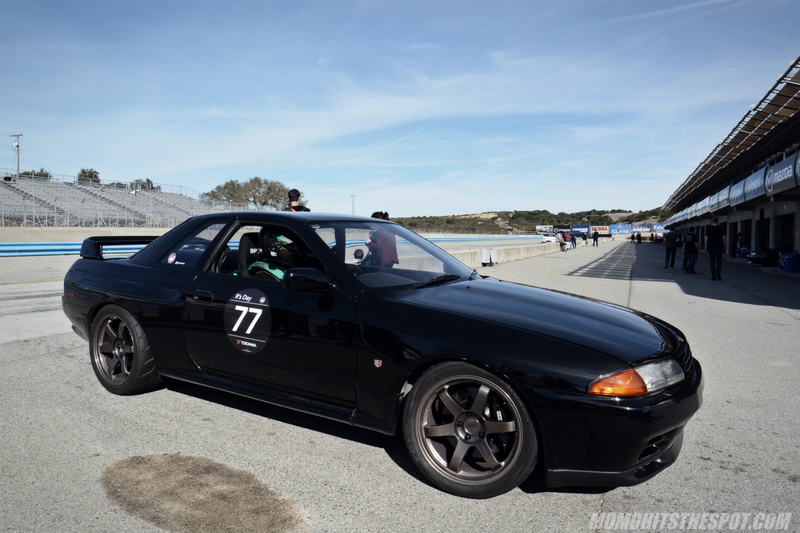 2017 R’s Day @ Mazda Raceway Laguna Seca [Event Coverage Part 1] – MoMoHitsTheSpot! So, back to the matter at hand, the last minute decision to attend R’s Day turned out to be one of the best decisions I’ve made this year. 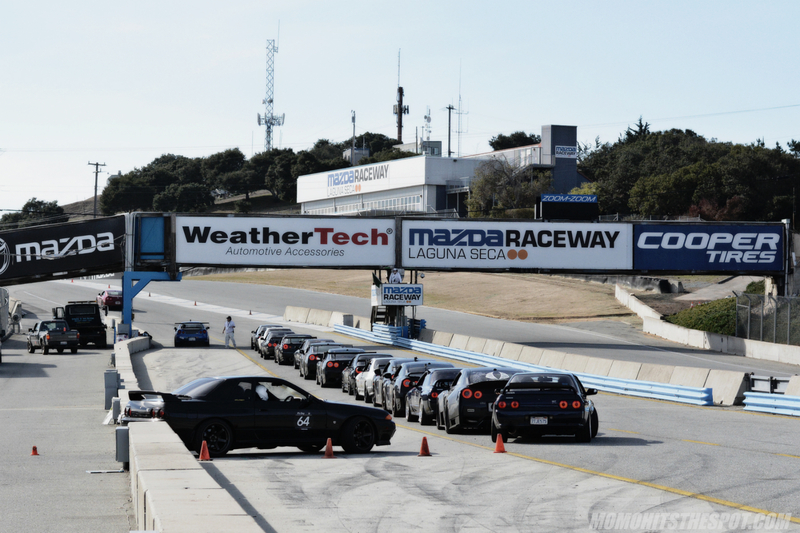 But looking back at it, attendance should’ve been a given considering it’s a gathering of GTRs, at a world renown facility in Laguna Seca, and in a State where automotive regulations are equivalent to communist ideology. 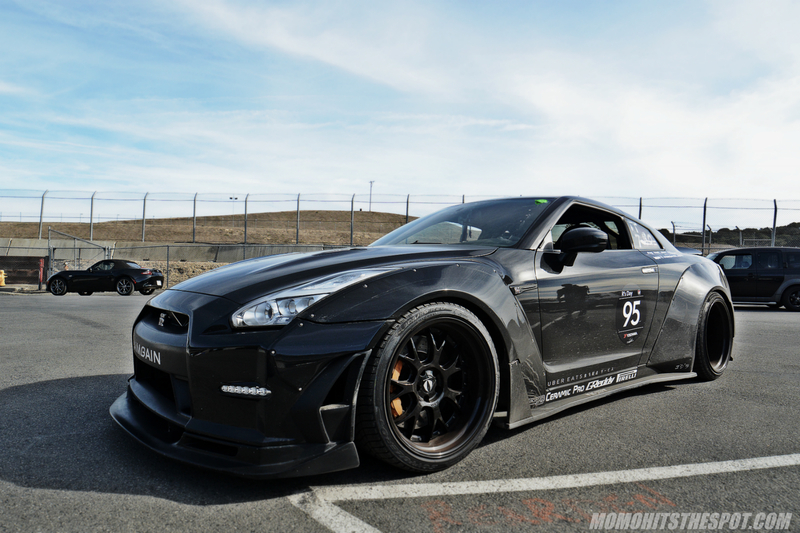 This kind of meet is near non-existent Stateside, and to have it happen in California just makes it that much sweeter. 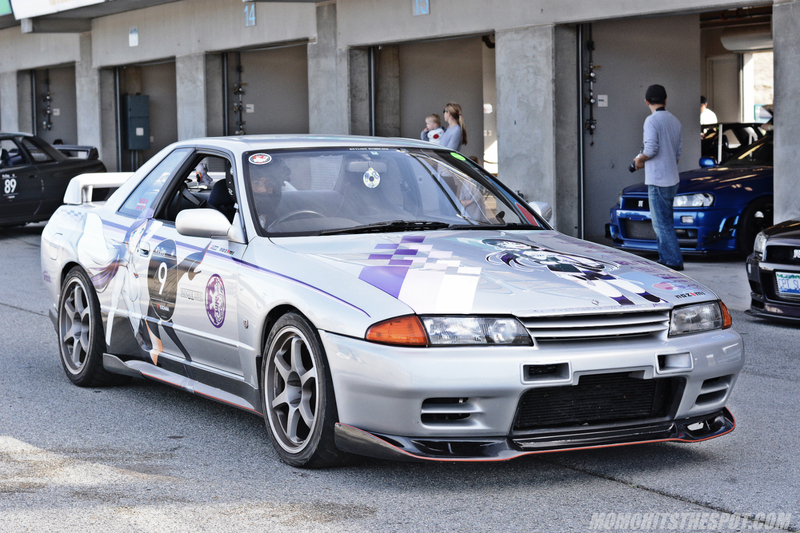 And for this reason, I gotta give a huge shoutout to the Skyline Syndicate guys for making this event possible (a second time around). The day of the event turned out to be a near perfect day with sunny skies and temperatures in the 70s… (thank you California climate). I had planned to head out early but my body is not the type to wake up early especially on a Saturday so I ended up heading out around 9am. 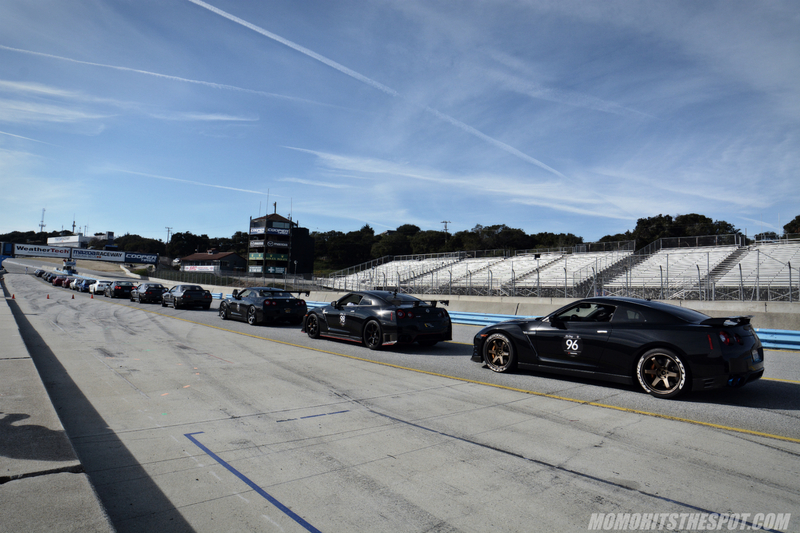 Luckily, Laguna Seca is only two hours away, so I was at the track by 11am. 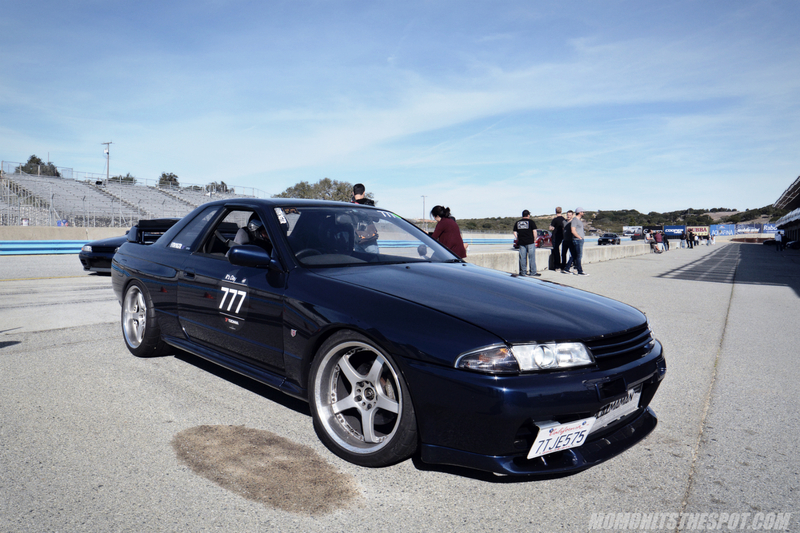 My friend, Clint, that accompanied me at Super Lap Battle last month also met up with me at Laguna Seca and is always a welcomed companion at automotive events because he’s one of the most knowledgeable car guys I know. When I arrived, he was already browsing the cars in the paddock and that’s where I’ll start this coverage. 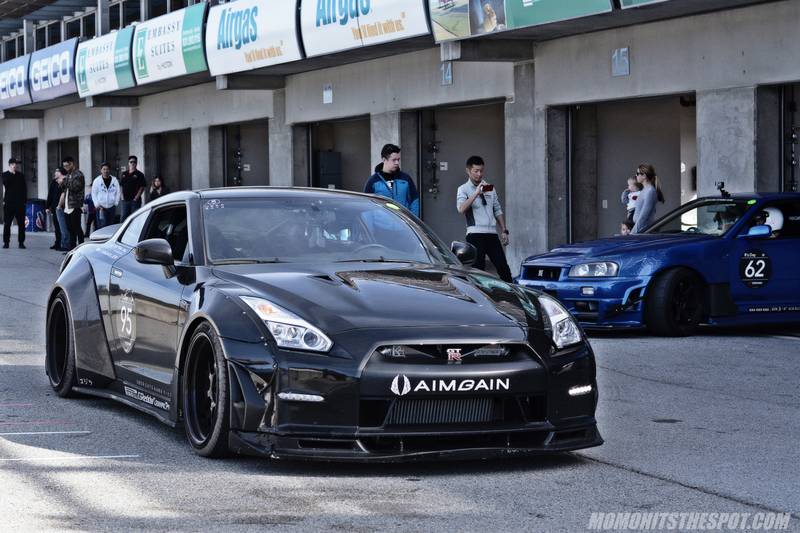 One of the cars that caught my attention as I walked in was this beautiful, and dirty Aimgain R35 GTR (@aimgain_gtr). 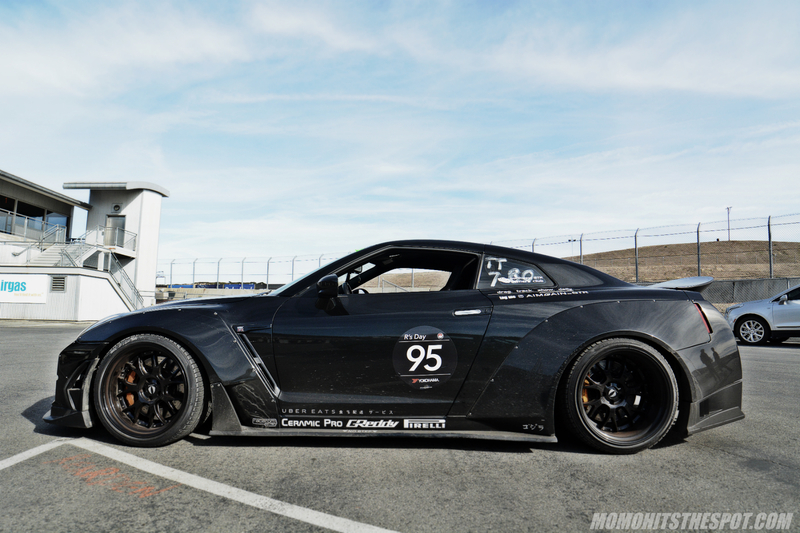 Normally, I’d like stock bodied R35s but this is one of the most well executed Aimgain examples I’ve ever seen and that custom Rampage Fab bumper exit exhaust was out of this world! 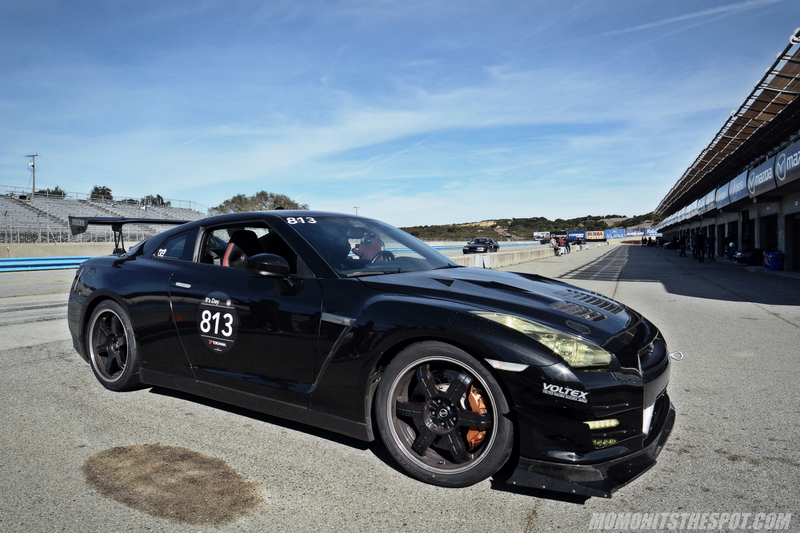 Moving on to a few pit area shots starting with this gorgeous 99′ V-Spec equipped with a Nur Spec power plant. 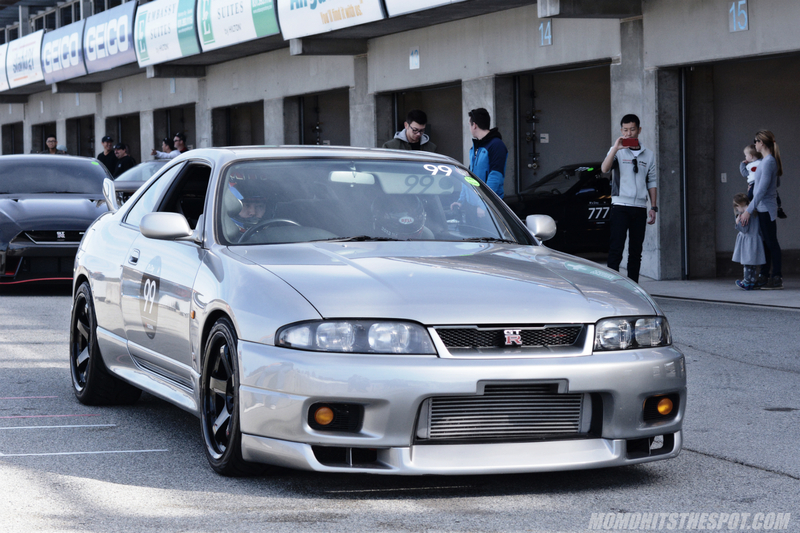 My favorite car of the day, Charles Wong’s (@cw_unit) V-Spec R34 equipped with a gigantic HKS T04Z centerpiece. 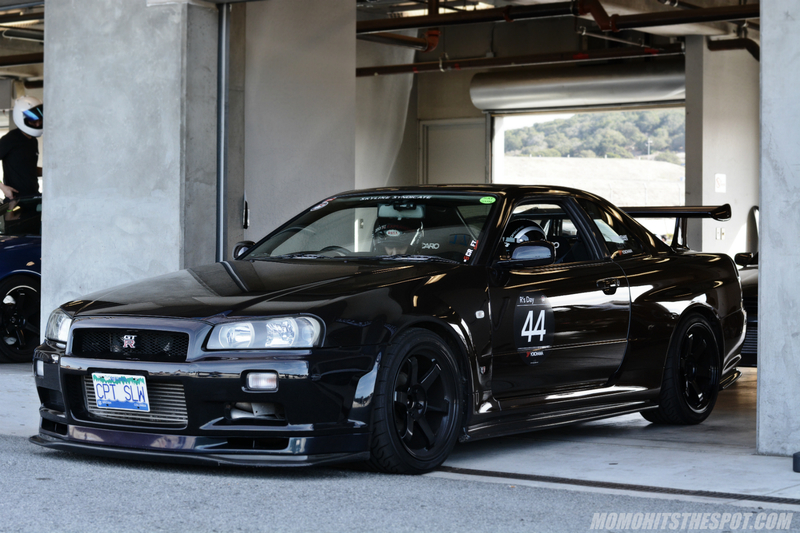 And the final R34 of the day, and perhaps the most beautiful one, thanks to that mesmerizing Midnight Purple color although you can’t see it very well in these shots. 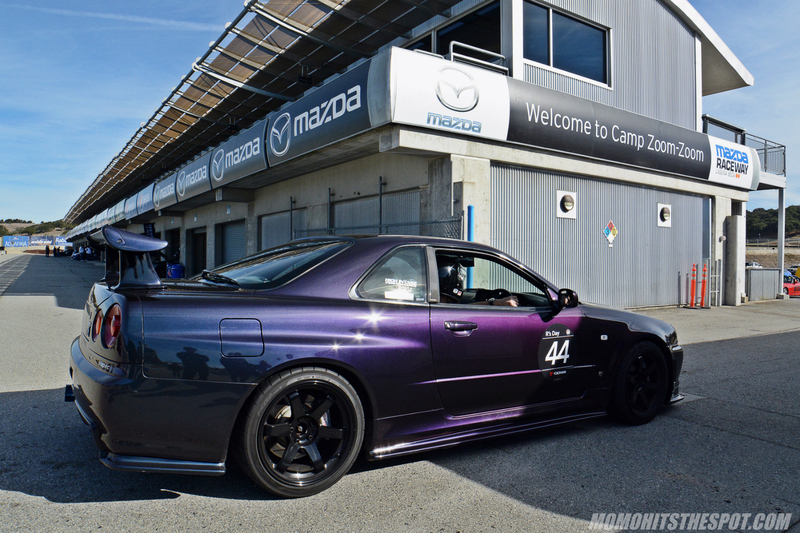 The depth in the Midnight Purple color is just unreal, and it’s definitely one of those colors that needs to be appreciated in person. 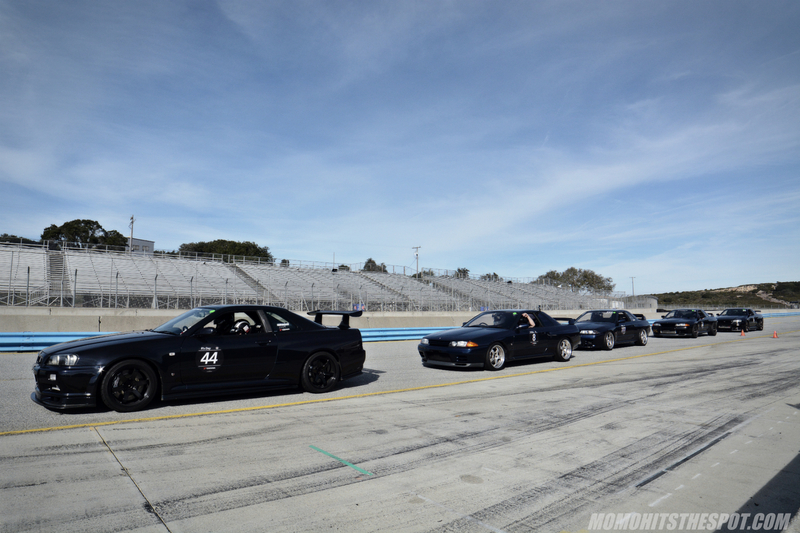 A couple of R32s as they head out for an afternoon session. 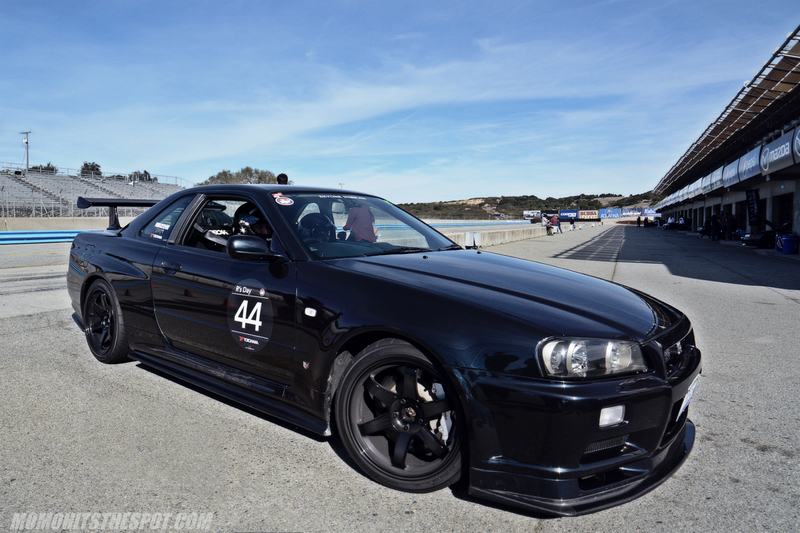 Following close behind was the black R34 (@black_r34gtr) and a clean BCNR33 on Nismo LMGT4s. 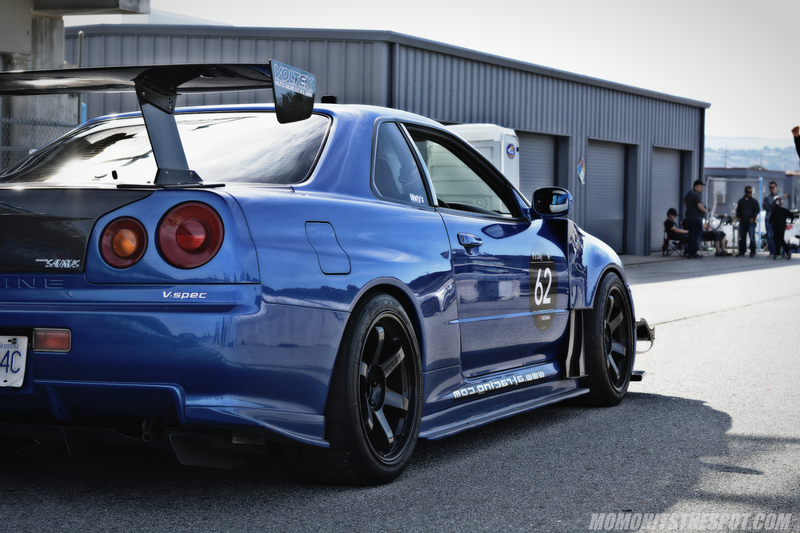 It was nice to see a wide body R35 heading out on the track rather than sitting pretty on the sidelines, and of course, Charles’ R34 is in a world of its own. This view was a pretty good reason to wake up semi-early on a Saturday. 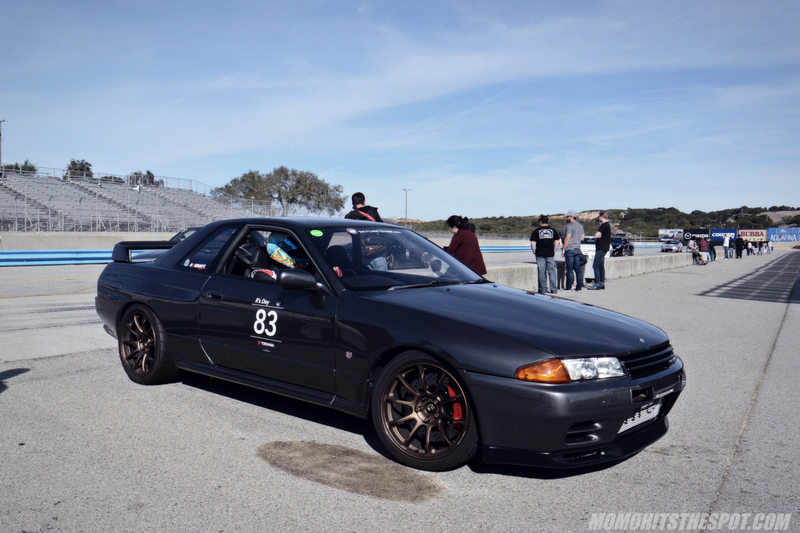 Caught several of the R32s as they’re pulling back in from their session. 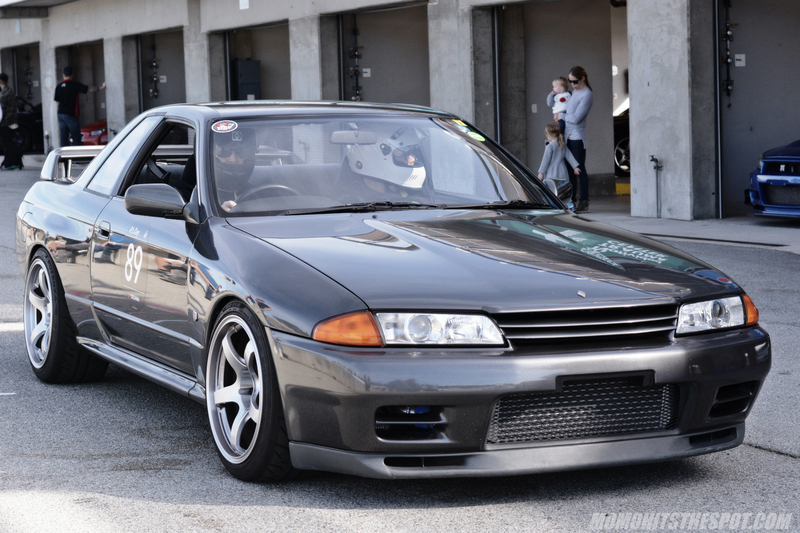 R32 GTRs accounted for the majority of the “legacy” GTRs which reflected their legality in the United States. 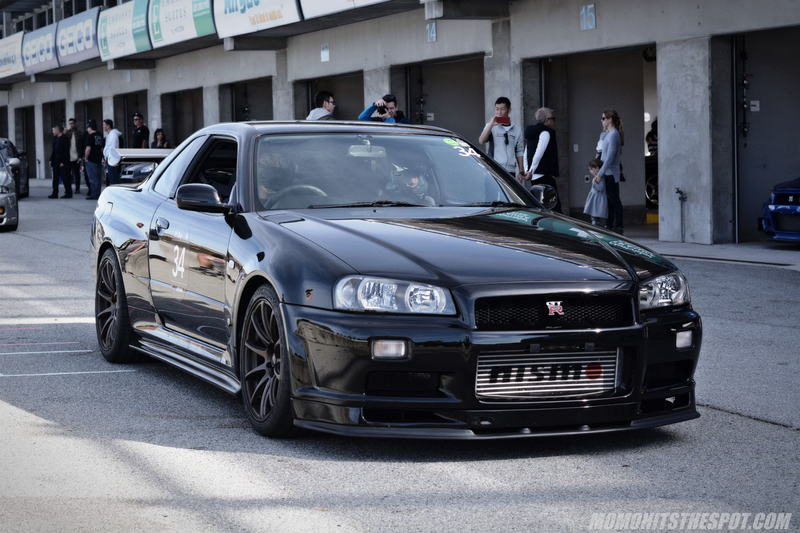 A couple more roll-in shots with a Black Edition R35 and the Midnight Purple R34, respectively. And finishing off with a couple of my favorite shots from this set. 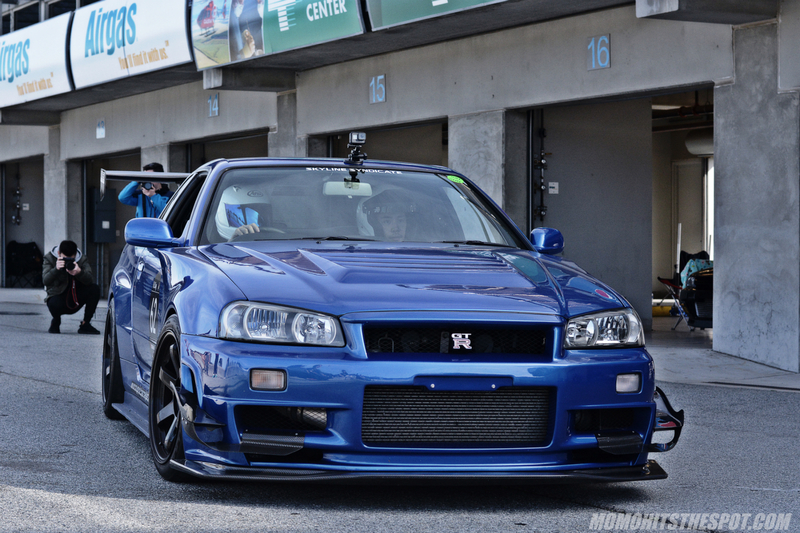 You can really see the Midnight Purple color “pop” in the above photo and a close up of the menacing stance of the Bayside Blue R34. Hope you guys enjoyed this first part of the R’s Day coverage, but there’s a lot more to come so stay tuned!